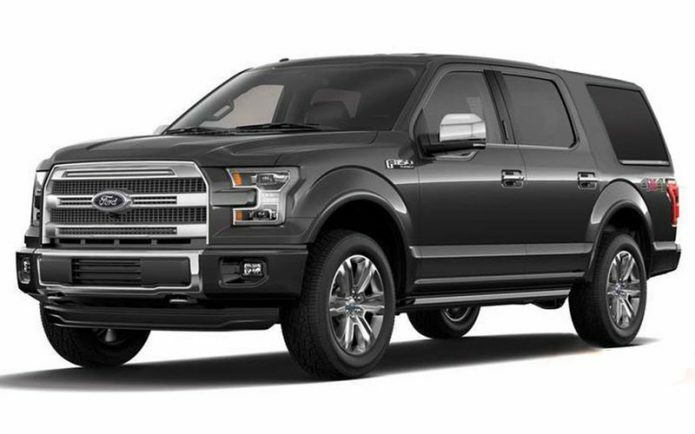 Ford worked tirelessly to improve the current F-150 by reducing mass and adding efficient turbocharged engines all mounted on a high-strength steel frame. It’s now likely those same advancements will make their way onto the heavily, if not all-new 2018 Expedition SUV.And as our spy photographer caught, the Expedition is currently in development. The Expedition has traditionally been based on the F-150, though the relation has grown distant over the last few years. Since the second generation, the Expedition has used an independent rear suspension system rather than the F-150’s solid axle and leaf spring setup. Exterior and interior styling also drifted apart from the F-150 for the second generation, which debuted for the 2003 model year. Nevertheless, the two vehicles have shared a close relationship since the Expedition’s introduction for the 1997 model year.